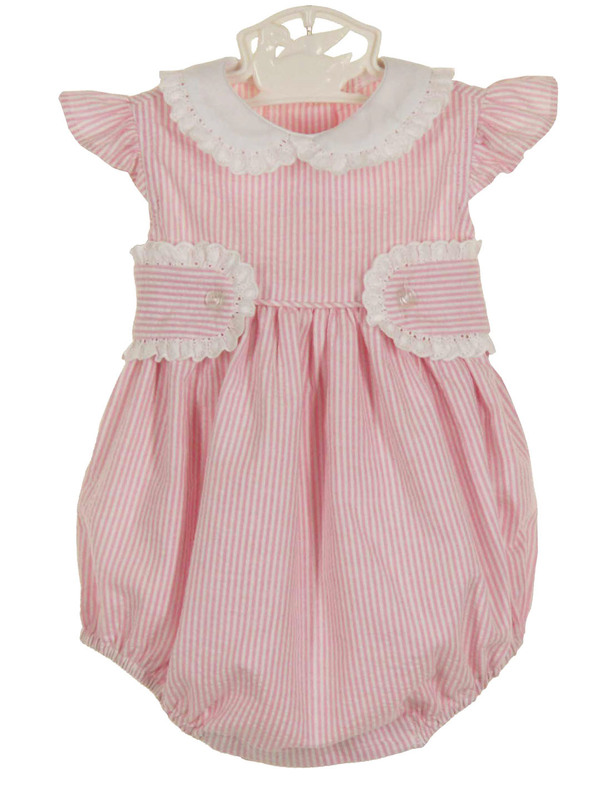 Made by Anvi Kids, this is the sweetest pink striped cotton seersucker bubble for your baby girl! 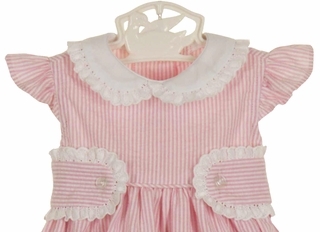 It has a fitted yoke with angel style sleeves and a back sash to tie in a bow. 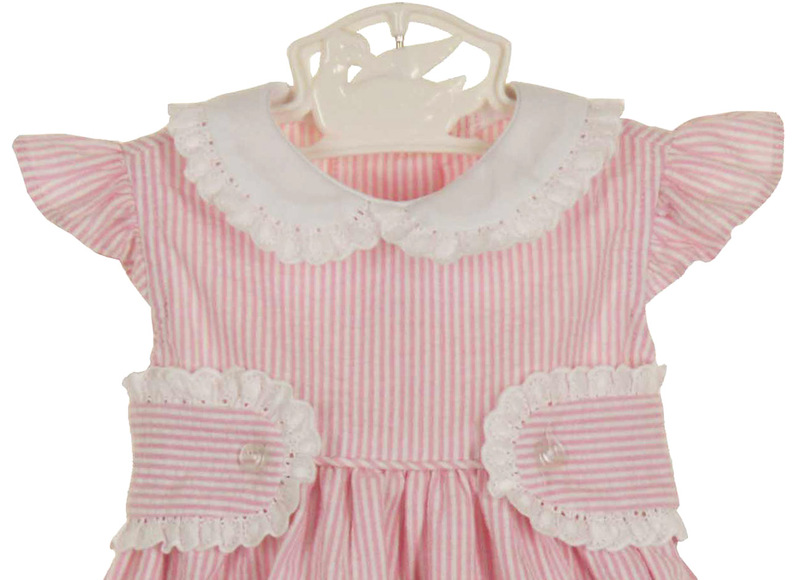 The front waist tabs and Peter Pan collar are edged with scalloped eyelet trim. 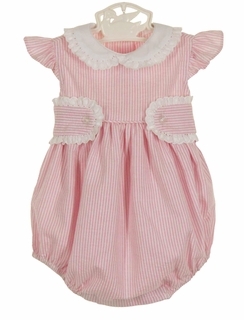 Just perfect for your baby girl!